When the coffee shop manager is murdered in Middlebury's Amish Artisan Village, two women from different walks of life must join together to solve the mystery. 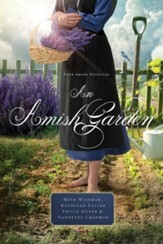 Amber Wright is optimistic about the growing profit from her collection of Amish shops; until she receives a call that Ethan Gray is dead. Hurrying over to A Simple Blend, she finds a solitary hole in the front window and the store manager lying next to the espresso machine, dead from an apparent heart attack. All the money is still in his register. 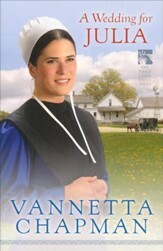 When Amber hires a young Amish woman, Hannah Troyer, to take over the shop's duties, the two women become fast friends, and amateur sleuths. When the coffee shop manager is murdered in Middleburys Amish Artisan Village, two women from different walks of life must join together to solve the mystery. 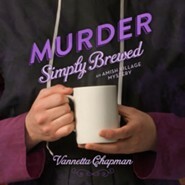 Spring has arrived in Middlebury, Indiana, and Amber Wright is optimistic about the growing profit from her collection of Amish shopsuntil she receives a call that Ethan Gray is dead. Hurrying over to A Simple Blend, she finds a solitary hole in the front window and the store manager lying next to the espresso machine, dead from an apparent heart attack. All the money is still in his register. 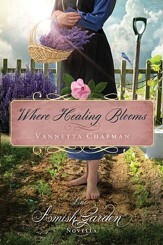 When Amber hires a young Amish woman, Hannah Troyer, to take over the shops duties, the two women become fast friendsas well as amateur sleuths. The police believe Grays death is a by-product of vandalism, but Amber and Hannah aren't convinced. Clues that don't add up, a neighbor who is pulled into the midst of the investigation, a town with secrets to hide, and a blossoming romanceall will combine to push Amber and Hannah into unfamiliar roles in order to reveal answers to the mysteries around them. 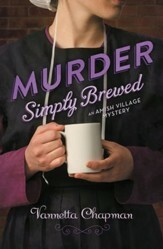 I'm the author/artist and I want to review Murder Simply Brewed, Amish Village Mystery Series #1.